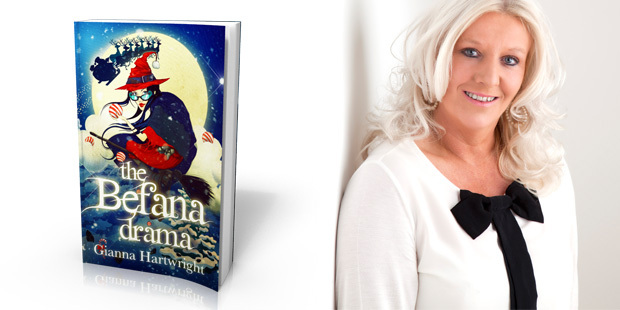 Welcome to fictional fabulousness and witch-dust of the most wondrous kind in the form of The Befana Drama… a book every child aged 8-11 will wish to put on their Christmas list and which will bring a unique sparkle to every Christmas sack or birthday bag as the must-have book of the year. 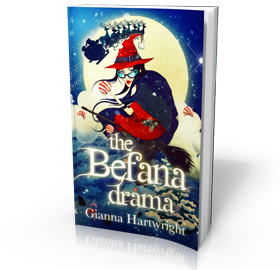 The Befana Drama is a thrilling, magical adventure that sees the main character ‘Bef’ travelling around the world as she tries to regain the hearts of Italian children and settle a few scores at the same time! It is full of exciting tuber-charged broomstick flights, wicked (and sometimes wonky) spells, intrigue and suspense of the highest order, fearsome foe and great giggles… not to mention the odd snowball fight. And why is this? Well, naturally, to decide which VIPB is going to have the right to deliver presents to children this year. So what’s a VIPB, we hear you cry! Well, a VIPB is a Very Important Present Bringer. Many of you will know that Santa is one of these. Italian children will receive coal or candy from the Befana – an old witch who the Three Wise Men turned to for help in finding the baby Jesus. Unfortunately, her obsession with cleaning got in the way and she didn’t travel with them. Well, in this book, Santa and the Befana have a bit of a falling out, to put it mildly. You see, the Befana believes that children truly love her and she is very proud of the fact that she has her own festival and her own postbox for children’s letters. In fact, her life is perfect until one day she learns that… HER FESTIVAL IS BEING DOWNSIZED AND HER POSTBOX SEALED UP! If this weren’t insult enough, she is told the reason for this is that her town and the rest of Italy are adopting Santa Claus as their VIPB! Well, this is certainly more than an old witch can bear and bear it she will not, especially as she once got engaged to Santa at a Very Important Present Bringers’ conference and agreed to split most of the present-bringing world with him! As she steams like a pudding in a pressure cooker, she learns even worse news … Santa has, for some time now, been married to a Mrs Santa Claus (Capriccia) and their wedding photos even appeared in ‘Gello’ magazine! The Befana has, effectively, been jilted! Oh dear, that spells trouble and, in fact, bats are already flying out of the church by daytime… a very bad sign indeed! As candy balls bounce down the street, the Befana fires up her broomstick with potatoes and horse manure and heads off to find the descendants of the Three Wise Men, who happen to be a boy band in Dubai. 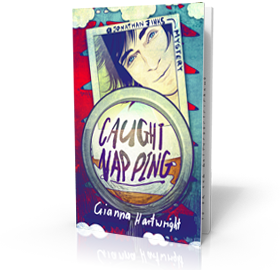 Having made sure they will help her, she makes a flying visit to Old Father Time and, with his help, becomes Bef leaving her life as an old, wart-ridden witch behind her to become someone who is pretty in a certain light – an ingenious disguise! So what does the trendy and cool Bef get up to? How can Gaspar, Thaz and Mel help her? What part do Bernhardt Bürstenfrisür, Jeremiah Needlebaum, Natalia Lebedev, Rocky Candymeister and Lars Llangfjord play in her journey around the world, as she heads off in search of enough coal and candy to take over Santa’s deliveries? All of these are very good questions, but there’s one that needs answering more than any other. How will a peeved and rejected witch react when she meets Capriccia Claus and has to face the 5-storey pink monstrosity of a building that is Capriccia Claus’s Casa of Contentments? Will Bef manage to win back the hearts of Italian children? Will she and the best reindeer whisperer the world has ever known take over Santa’s deliveries? 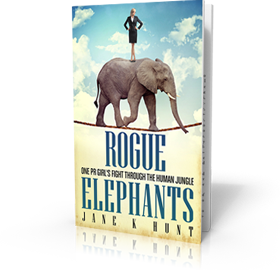 Will Capriccia get her just desserts or will she and the very sly 81st elf foil Bef’s plan? Only the lucky young reader, or their parent reading the bedtime story will find out! PRESS/BOOKSHOPS WISHING TO HAVE A REVIEW COPY SHOULD FILL IN THE FORM AT www.thebefanadrama.com or email giannah@me.com or call 00 44 1253 891114. All other enquiries for book signings, attendance at events, competitions, reader offers and other promotional opportunities should be sent to giannah@me.com Alternatively, please call 00 44 1253 891114.